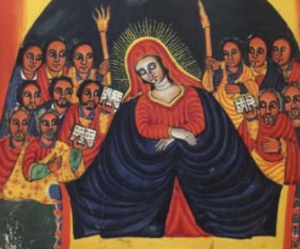 Ahead of their tour to Ethiopia, Ishirini will be returning to St Mary with St Alban on the 17th February with a programme of music celebrating Easter and the Virgin Mary. 2019 is the ten year anniversary of the choir, which was founded with the purpose of making unusual musical projects across the world. With an initial tour to Tanzania in 2009, they have since sung in India, Jordan, Palestine, Poland, Italy, Spain, Nepal and Georgia. With each visit they make links with local musicians and explore the local musical culture. They have sung in churches and temples, schools and hospitals, indoors and outdoors. In Ethiopia they are visiting Addis Ababa, Lalibela and Gondar. In Addis they will be joining two local choirs to sing a programme of peace in the Italian Cultural Institute at this important stage of inter cultural reconciliation in the country.